Chief Electoral Officer Narinder Chauhan said that strict measures had been taken by Election Commission of India to check ‘Paid News’ i.e. advertisement in form of news in media and related matters during Vidhan Sabha elections in the State. He said that Media Certification and Monitoring Committee (MCMC) had been constituted in each District for previewing, scrutinizing and verifying all advertisements by individual contesting candidates or political parties. Chief Electoral Officer said that for the purpose of certification the Returning Officer of the Parliamentary Constituency /District Election Officer and an Assistant Returning Officer (not below SDM) were the members of the MCMC. He said that the besides discharging the functions of Certification of Advertisement and checking of Paid News, the Committee would also assist in enforcement of media related regulations under the Representation of the People Act, 1951. He said that the Committee shall scan all media e.g. newspapers, print media, electronic media, cable network, internet, mobile network etc. for suspected cases of paid news, monitoring of political advertisements in electronic media, monitoring political advertisements in other media in relation to candidates either overt or covert, from expenditure monitoring angle, advertisements in print media and check whether the name and address of the publisher and the printer was carried on any election pamphlet, poster, hand bill and other document as required under Section 127A of Representation of the People Act, 1951. He said that the committee should report daily to accounting team in respect of each candidate with respect to expenditure incurred by the candidate on election advertising or actual expenditure incurred for publishing the ‘News’ that was substantiated by necessary documents furnished by the candidate or notional expenditure as computed by the Committee in the assessed cases of Paid News. The State Level MCMC is constituted under the chairmanship of Chief Electoral Officer. Observer appointed by the ECI, one expert co-opted by the Committee, Officer of Indian Information Service (IIS), representing a media Department of GOI and Independent citizen or journalist as nominated by PCI, Addl/Jt CEO in charge of Media are the members of the Committee. He said that the State level MCMC would Decide an appeal from both District and Addl/Jt CEO Committees on Certification of advertisement and Examine all cases of Paid News on appeal against the decision of District MCMC or cases that they may take up suo motu, in which case it shall direct the concerned ROs to issue notices to the candidates. On reference from District MCMC, RO shall give notice to the candidates within 96 hrs. of publication/broadcast/telecast/receipt of complaint to explain/disclose the expenditure incurred for publishing the ‘news’ or similar matter, or state why expenditure should not be computed as per standard rate and added to the candidate’s expenditure. The same timeline will apply when State level MCMC takes up cases suo moto or on the basis of complaints. District /State level MCMC shall decide on the reply expeditiously and convey to the Candidate/Party its final decision. In case no reply is received by District MCMC from the candidate within 48 hrs of serving of notice, the decision of MCMC will be final. If decision of District level MCMC is not acceptable to the candidate, he/she may appeal to State level MCMC within 48 hrs of receipt of decision, with information to the District MCMC. The State level MCMC shall dispose of the case within 96 hrs of receipt of appeal and convey the decision to the Candidate with a copy to District level MCMC. The Candidate may appeal against the decision of State level MCMC to ECI within 48 hrs of receiving of order from this Committee. The decision of ECI shall be final. Where the suspected cases of Paid News are decided as a “Paid News” either at District level/CEO level/Commission level, as the case may be, the actual/notional expenditure shall be treated as part of election expenses of the Candidate concerned, with due intimation to him/her or his/her agent. Where the District/State level Committee or ECI decides that it is a Paid News case, such cases shall be conveyed to Press Council of India for further action in relation to the media concerned. 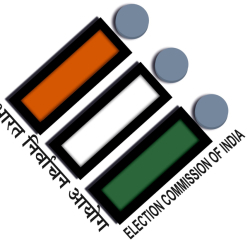 Chief Electoral Officer said that the Commission had directed that maximum vigilance may be observed by making use of the existing provisions of law so that the incidence of ‘Paid News’ or surrogate advertisements in print and electronic media in the context of elections was arrested.